Microsoft has announced the the Xbox 360 dashboard update will officially launch on December 6th for all users around the world. The update is free and will include a full retooling of the dashboard’s style and presentation. Here’s a quick rundown of the features 360 owners will see once this update rolls out. It comes by way of Major Nelson. If you don’t think cloud storage for game saves is a big deal and worthy of top billing in Major Nelson’s update, allow to me to have you consider two seperate scenarios. First of all, if you’re still in the age group that games over at a friends place during visits, having portable saves that don’t require a memory card is a big deal. I can’t tell you how many times I had to drag cartridges and accessories to a friend’s house, dorm or apartment in order to play a game with my unlocks. Me from back then would be pumped about this news. Alternatively, and I don’t mean to poke the bear here, Microsoft has created a great solution to the problem born out of dying consoles. If your Xbox 360 fails, something that’s a bit less likely to happen with the new model, you’ll be able to pick up your Saints Row the Third save file right where you left off without copying a hard drive. I’ve been burned by this more a few times with each console, so this reality is huge. Are any of you in the dashboard preview phase? 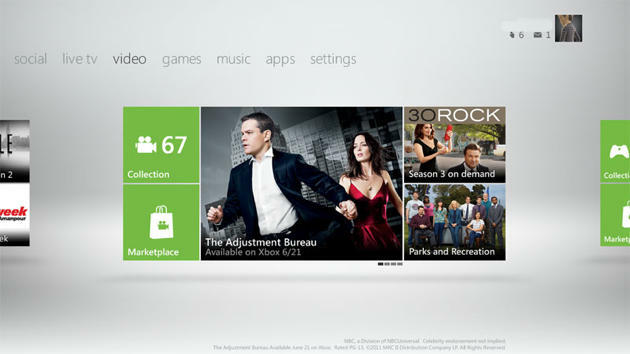 What do you think of Microsoft’s new experience for the Xbox 360?